How much does XSquawkBox cost? XSquawkBox does not cost any money; you do not have to pay for XSquawkBox to use it. The network for which it is intended (VATSIM) also does not require payment. XSquawkBox does come with legal restrictions, however; please read the EULA carefully before downloading it. In particular, you may not redistribute XSquawkBox; other users who want XSquawkBox must download it from this site. What Version of X-Plane can I use XSquawkBox with? XSquawkBox currently works with X-Plane 10 and 11 on Windows, MacOS and Linux systems. Older versions support X-Plane 8 and 9 and probably earlier, but no support is offered for these versions. Make sure to update to the very latest (stable) version of X-Plane! What networks does XSquawkBox work with? XSquawkBox works with the VATSIM network. While it was initially used for IVAO, that organization has developed their own client and XSquawkBox is no longer used. For VATSIM, configure your microphone and speakers using the Audio Setup dialog box. Voice features will work automatically as you tune your COM1 radio to controllers that are using voice. What ports do I have to open in my firewall to use VATSIM? In all cases, your firewall must permit outbound connections on TCP port 80 and TCP port 6809. For voice to work, your firewall must also permit outbound connections to UDP port 3290. If you are not using a Network Address Translation (NAT) and your firewall does not do connection state tracking (ie: stateful filtering), you may need to open port 3290 for UDP inbound traffic in your Firewall. In many cases with a modern router, no changes are necessary. We recommend you just try connecting to voice first and see if it works reliably for you. If it does, no changes are necessary. If you are experiencing voice drop-outs/failures after periods of silence, this is typically caused by connection state tracking or NAT tracking timing out the connection too quickly. With some routers, this can be fixed by adjusting the timeout appropriately (it needs to be >30 minutes to be reliable – some routers default to as few as 5 minutes). If you can’t adjust the timeout, the only other option (short of replacing the router) is to use a static/two-way NAT mapping for UDP traffic from and to port 3290. Please bear in mind that some domestic/consumer routers will not offer this as an option. This must be a bidirectional mapping, that is, UDP traffic from your simulator PC from UDP port 3290, must appear to come from UDP port 3290, and all traffic to UDP 3290 must be forwarded to your simulator PC. If you do have to use the static NAT option, to check if you are correctly forwarded, check the web page of a voice server while flying. If your port is listed as 3290 you have a two-way mapping. If your port is some high number in the ten-thousands range, you may only have a one-way mapping and you will most likely still experience drop-outs. If you do have to replace the router, it’s strongly advised that you ensure you can return any replacement if it’s shown to exhibit the same behaviour without the means to correct it. Professional routers (such as the RouterOS devices by Mikrotik) are known to work correctly as they generally have significantly better NAT tracking or state tracking than cheap consumer routers, but are not usually suitable for non-networking professionals. No assistance can be given with how to specifically configure a router for use with XSquawkBox. Can I use XSquawkBox’s voice-over-IP capabilities with networks other than VATSIM? No – the voice system in XSquawkBox is specific to the VATSIM network. Can I extend XSquawkBox or make add-ons for it? Yes. XSquawkBox supports interplugin communication. By writing your own X-Plane plugin you can communicate with XSB. If you are a programmer, please refer to the developer page. My friends and I don’t want to fly on VATSIM, can we just fly by ourselves? Yes and No. XSquawkBox is only designed for use with VATSIM at this time, as such, XSquawkBox cannot be used in this way. That said, if you only want to fly with your friends, you can use X-Plane’s integrated multiplayer support for that without the need for XSquawkBox. 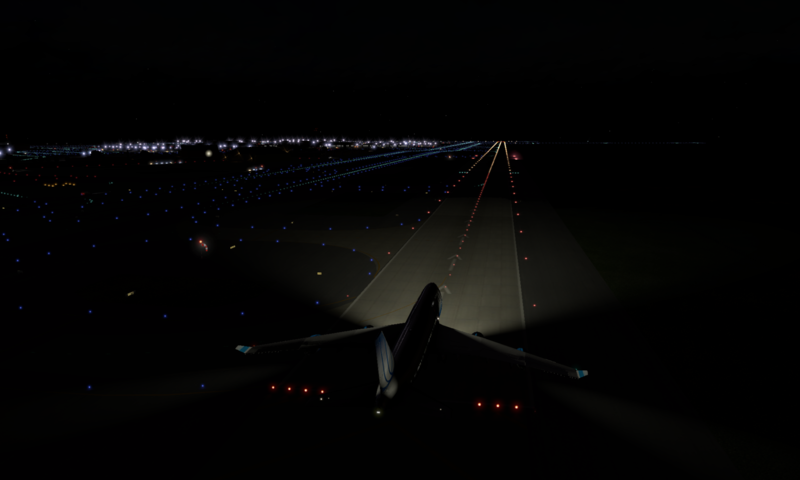 I don’t like the aircraft lights – Can’t you fix them? The aircraft lights are a holdover from the “legacy CSL” support and are unlikely to be “fixed”. CSLs developed using “new-style” models (which use the X-Plane’s standard OBJ8 format) do not use these old lights and generally look a lot better. Further to this, “legacy CSL” models are now deprecated, and support will be removed when X-Plane implements alternate (non-OpenGL) rendering methods. Why don’t I see the right airplanes out the window. This generally comes down to one of a few specific issues. XSquawkBox version earlier than 1.3.3 have a number of bugs that will prevent non-generic liveries from working reliably. Your installed CSL set has to have a suitable model with livery installed. If there is no direct match available, you need to have a good “related” model set defined. The other aircraft has not set their type code correctly. The bugs will be dealt with in the upcoming 1.3.3 release of XSquawkBox. Until then you’re not likely to see the right airline livery on an aircraft, and in 1.3.2, you’re not likely to see the right aircraft type either. The absence of useful models to match with can be dealt with by installing third party CSL libraries. No support can be offered for these however. With regards to the related models table, as it’s not practical for CSL model sets to cover every imaginable model of aircraft out there (there’s simply too many of them! ), it relies on “related” type matching, where an aircraft is matched based upon other, similar, models. As there’s no standard way to say what a “related” model is, XSquawkBox ships with it’s own table which groups similar looking aircraft together, and that will be used to find an acceptable match when a perfect match cannot be found. You can read the related.txt file in your resources directory (it’s an ordinary text file) to see how to configure it. If you feel that you can propose a change to the standard related mappings that will improve the simulator’s behaviour, feel free to let the developer(s) know via the VATSIM XSquawkBox support forum. As for pilot setting invalid (or incorrect) type codes – that one is out of our hands. We currently do not have a way to override somebody’s reported type. Some aircraft appear to float above the ground. This is a combination of a limitation of the network protocol, and differing terrain elevation data between X-Plane and FSX/P3D. The network protocol limitations arise from the fact that the protocol does not clearly define where the altitude is measured from for any given aircraft (is it from the wheels? from the CG?). The terrain elevation data differences arise from the relative age of the simulator data – X-Plane uses fairly recent, very high quality terrain elevation data, whereas the FSX data is quite old and low resolution. As a consequence, you will most likely see aircraft from other flight sims appear to hover or be buried in the ground. We will continue to improve this as technology and time allow. VATSIM weather is not up-to-date/not conducive to flying? Can I use another weather source? Yes. If you set the weather update interval in XSquawkBox’s settings to 0 first, XSquawkBox will stop trying to control the simulator’s weather. From there, you can use the real-weather support, or a third party weather plugin.